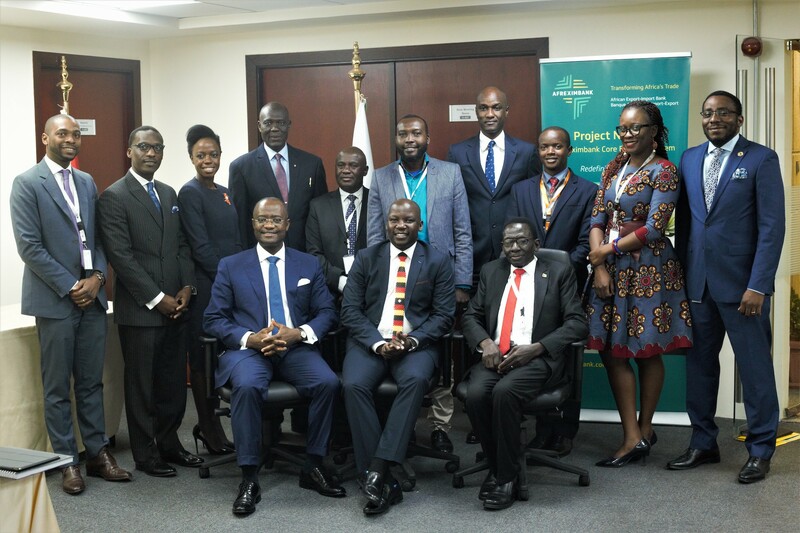 26 March 2018 – A Ugandan delegation led by Kiwanda Ssuubi, the Minister of State for Tourism, visited the headquarters of the African Export-Import Bank (Afreximbank) yesterday to explore opportunities for working with the Bank, particularly in the tourism sector. Mr. Ssuubi said that the delegation wanted to gain an understanding of the Bank’s Construction/Tourism-Linked Relay (CONTOUR) facility to see how it could be deployed in Uganda’s tourism industry. 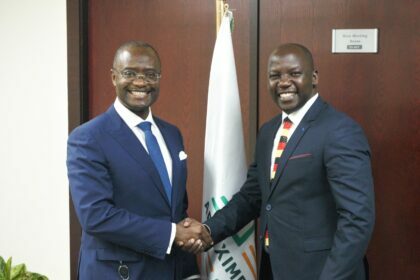 It also wanted to explore how Afreximbank could assist the country in meeting its tourism goals, including the financing of required infrastructure. He said that Uganda was seeking to add value to its tourism industries but lacked adequate capital to embark on required projects, such as hotels or resorts on the Nile, and appealed to Afreximbank to assist in attracting projects that will boost the tourism sector in the country, noting that the country was experiencing difficulty in finding funding due to the high cost of capital and interest rates. Receiving the delegation, Dr George Elombi, Executive Vice President, Governance, Legal and Corporate Services, reiterated Afreximbank’s commitment to serving as a conduit to help set up the infrastructure required to foster intra-African trade, industrialization and agro-processing across the continent. 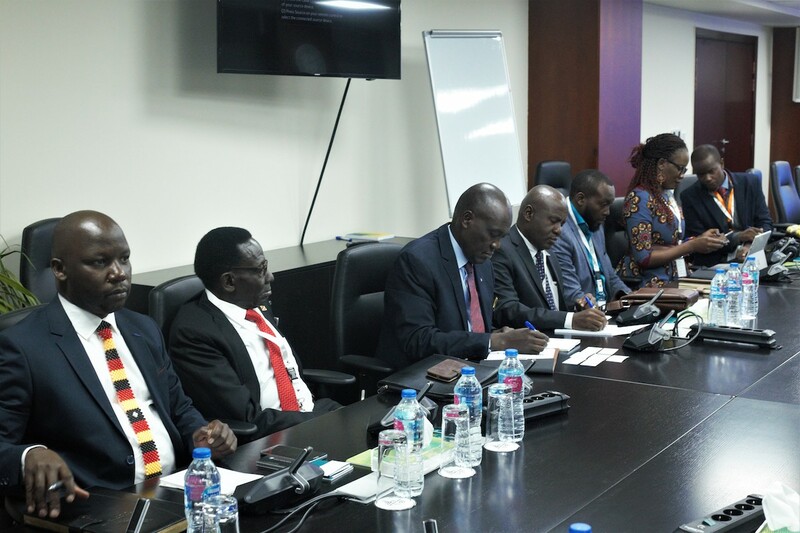 Dr. Elombi said that Afreximbank was supporting the structural transformation of Africa’s economies, including through financing infrastructure such as airports, railways, and tourism projects in order to foster and increase intra-African trade. He commended Uganda for its recent decision to implement a visa waiver regime for visitors from other African nations, saying that such actions fostered seamless travel across the continent. Jean-Christian Koudou, Manager in the Export Development Finance department, made a presentation on the COUNTOUR facility. The facility seeks to promote the development of tourism projects and facilities in Africa to international standards and on a commercial basis through a risk sharing arrangement that leverages Afreximbank’s strong credit standing and its preferred creditor status in its member countries. 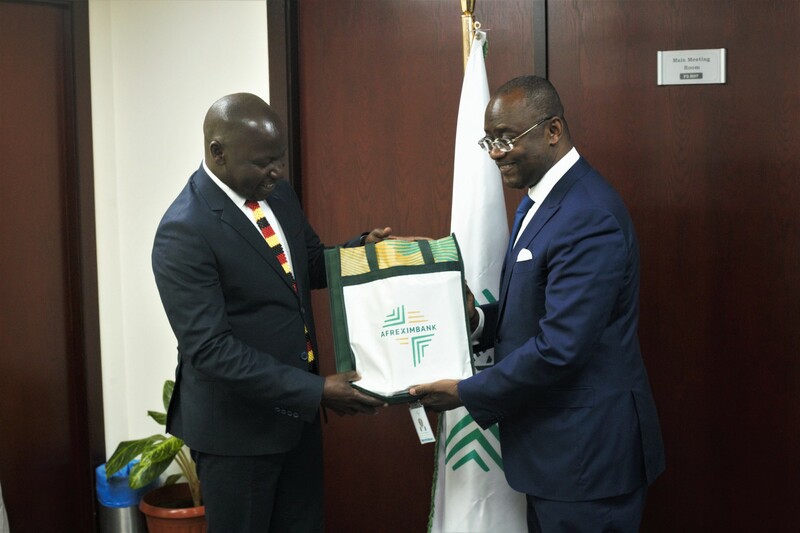 Dr. George Elombi, Afreximbank Executive Vice President, presents Kiwanda Ssuubi, Minister of State for Tourism of Uganda, with a gift. Babajide Sodipo, Senior Manager, Export Development Advisory, said that the Bank had in place soft infrastructure to support policy, regulatory reforms and other frameworks to ensure that projects were successful. Accompanying Mr. Ssuubi on the delegation were Sam Sebuliba Male, the Ambassador of Uganda to Egypt, and several members of the Uganda Board of Tourism.